St. Francis de Sales Roman Catholic School originated in a school for boys, girls, and infants opened in 1827 close to the new church in Chapel Place. It had 65 pupils, a master and a mistress by 1835. A new school room was built in 1858 and enlarged in 1873. This was four years before classes moved to Brereton Road, where a new building was finished in 1882. (At that date school pence, paid by those who could afford to do so, were supplemented by a parliamentary grant.) The building comprised a schoolroom, partitioned off from the chapel on weekdays, and a classroom. This is now the Parish Hall. A separate boys' department was opened in 1885 and an additional schoolroom, for an infants' department, was finished in 1886. 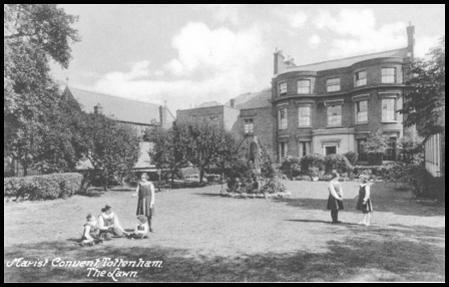 The enlarged school had 349 pupils by 1905, but attendance fell to 287 in 1919 and 252 in 1938. The school was evacuated to Ingatestone when war was declared in 1939. 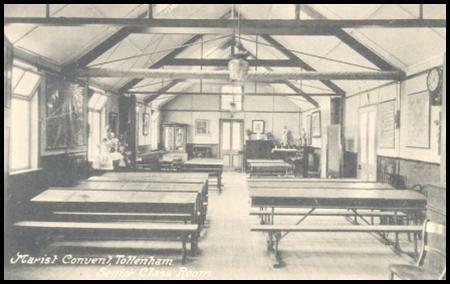 Children gradually drifted back to Tottenham so the school was reopened in 1940 using the air raid shelters beneath the church and in the convent (which had a separate school for girls). The convent received a direct hit during the war so in 1945 its school was taken over after and extended in 1958 and 1969. Separate junior and infants' schools were created in 1971 with 270 juniors and 216 infant. From: 'Tottenham: Education', A History of the County of Middlesex: Volume 5: Hendon. Photo's provided by Bruce Castle.